Two nights ago, fried by hours of editing, I escaped my hidey-hole and went to see the Roger Ebert documentary Life Itself. My husband and I remember watching Siskel & Ebert at the Movies when we were kids, but as we got older, we both grew to appreciate Ebert's writing: clear, educated, accessible, and often profound. He was a damn good writer. Some critics tell their readers what movies to watch. 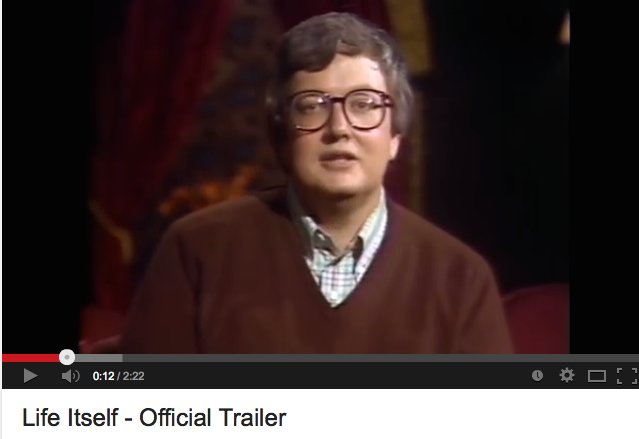 Ebert told his readers how to watch movies. By reading his reviews, I learned that beauty doesn't just come from the creation of art, but from its reception, too. All great pieces of art have the ability to connect with many different people at once. The nature of that connection can be hard to explain, particularly since we interact with art in very personal ways. A good critic is someone who can explain this connection with such clarity that even if we don't agree with his viewpoint, his explanation sharpens ours. We see better because of him. I decided to take a look at Ebert's review for one of my favorite movies, John Carney's Once, which came out in 2007. I loved this movie because of its beautiful music and its spot-on portrayal of falling in love. As we watch this movie, the audience--and the characters--are required to come to terms with a quiet revelation: the endings we get aren't always the endings we think we should, but life is no less beautiful for that. This movie was also a favorite of Ebert's. Here are some excerpts from his review. “Once” was shot for next to nothing in 17 days, doesn't even give names to its characters, is mostly music with not a lot of dialog, and is magical from beginning to end. It's one of those films where you hold your breath, hoping it knows how good it is, and doesn't take a wrong turn. 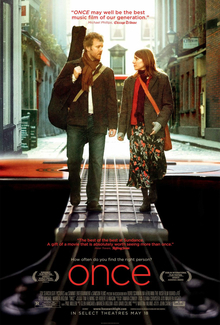 The two main characters of Once are musicians. She doesn't have a piano. She takes him to a music store where she knows the owner, and they use a display piano. She plays some Mendelssohn. We are in love with this movie. He is falling in love with her. He just sits there and listens. She is falling in love with him. She just sits there and plays. There is an unusual delay before we get the obligatory reaction shot of the store owner, because all the movie wants to do is sit there and listen, too....They love music, and they're not faking it. We sense to a rare degree the real feelings of the two of them; there's no overlay of technique, effect or style. This next part breaks my heart...and I have to remind myself that this is a movie review. They are just purely and simply themselves. Hansard is a professional musician, well known in Ireland as leader of a band named the Frames. Irglova is an immigrant from the Czech Republic, only 17 years old, who had not acted before. She has the kind of smile that makes a man want to be a better person, so he can deserve being smiled at. Please go see Life Itself. It is hard to watch sometimes, but it is a beautiful story.